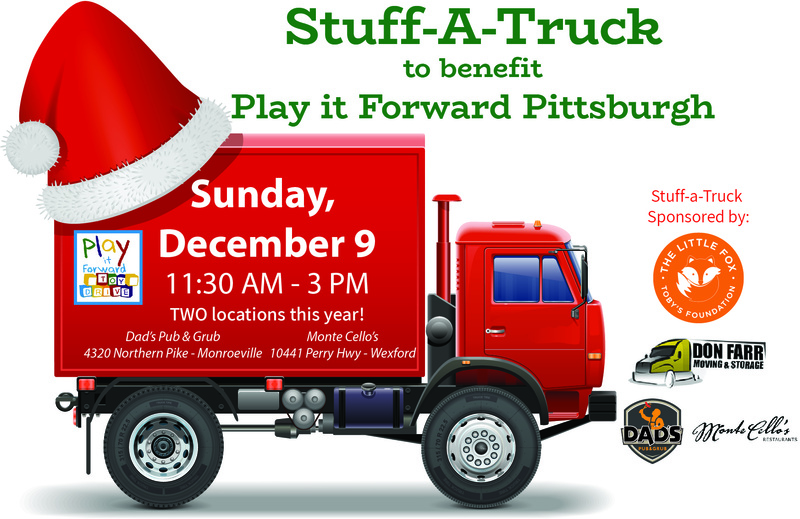 Join The Little Fox - Toby's Foundation for our third annual Stuff-a-Truck event to benefit Play it Forward Pittsburgh! 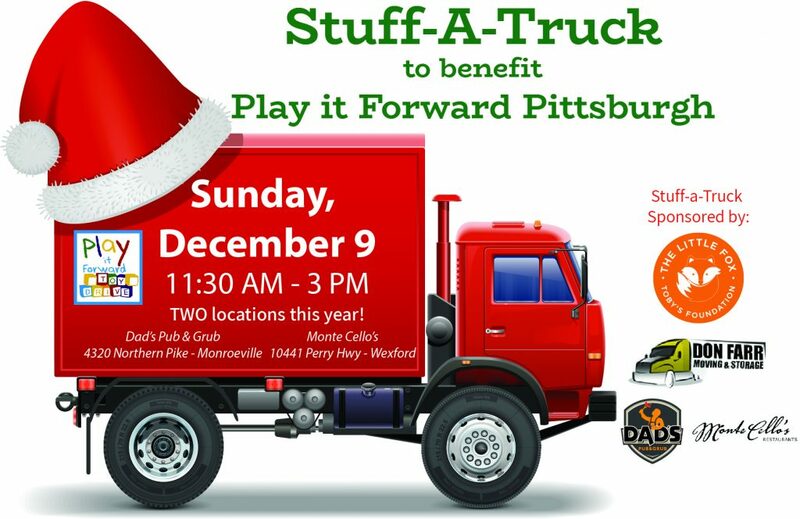 This event will supply gently-used and new toys to one of the largest toy drives in Western PA so that families, caregivers, neighbors, teachers can pick out toys for children who are less fortunate during the holiday season. Thank you to our location sponsors: Dad's Pub & Grub in Monroeville, Monte Cello's in Wexford; our truck sponsor: Don Farr Moving and all our volunteers! Let's pack these trucks full of gifts!